The World Transformed is your guide to an astounding future that lies ahead – one that is probably closer than you think, and one that you have an important role to play in making happen. For the past 10 years, hosts Phil Bowermaster and Stephen Gordon have explored emerging technologies and emerging possibilities across the fields of technology, science, business, academia, government, and entertainment. Guests have included leading figures from each of those fields. Now airing daily, the show is rapidly growing and attracts up to 20,000 live listens, downloads, and views each month on Blogtalk Radio, iTunes, and SoundCloud. 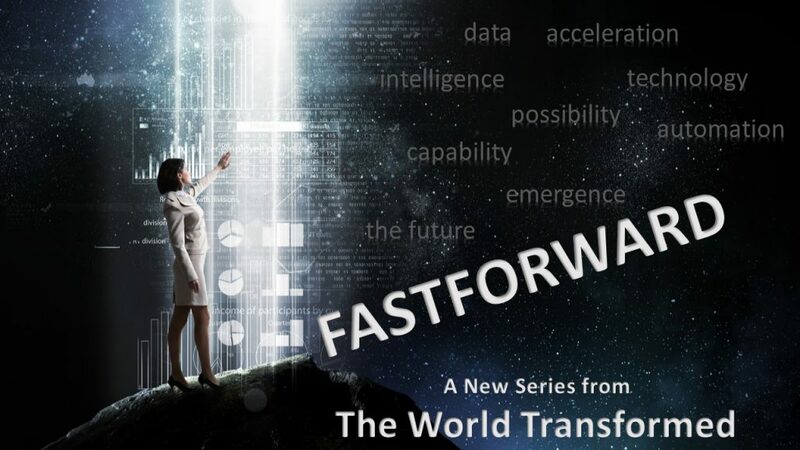 The World Transformed is kicking off a series of informative and ground-breaking interviews with thought leaders who are reshaping how we view the future. The series will have a special focus on the business world, and we are looking for business and technology leaders to feature on the program. If you have a technology, business solution, or scenario for change that you want to share, we may want to talk with you. Plus it will be your introduction to a dynamic, future-aware community that includes a broad range of decision-makers, innovators, and market influencers. The show hosts will conduct an audio interview for broadcast on The World Transformed, based on a show outline developed in collaboration with you. The interview will be pre-recorded and released only with your approval or approval of your organization. The podcast will be edited by our production team to clean up the audio and remove any outtakes, restarts, etc. You will have the chance to review the article and determine how it will be distributed. A PDF version of the article will be created for posting on your website. We will expand the article into a full eBook available via the Kindle Store on Amazon.com. Published by Speculist Media, the book will list you or your organization as author and you will retain all rights to its contents. The digital podcast will be delivered as an MP3 file. You or your organization will own the full digital and unlimited distribution rights to the podcast. The article will be hosted on WorldTransformed.com and other relevant content channels.